The ‘justice question’ is becoming increasingly important in the EU. With the lives of so many in the European periphery dramatically affected by the policies of austerity, widely perceived to be EU-imposed; with the Court of Justice appearing to stand for its own authority and EU autonomy at any cost; with migrants attempting to reach fortress Europe and drowning en masse as the EU cuts back its rescue services; and with economic inequalities in the Member States reaching new heights, could it be that there is a justice deficit in Europe, exacerbated by the European Union? The volume ‘Europe’s Justice Deficit?’ co-edited by Dimitry Kochenov, Andrew Williams and Gráinne de Búrca explores this question. The volume is premised on the basis that it is appropriate to talk about justice in the context of the EU legal and political system; and that questions of justice and injustice in the EU context have not yet (with some notable exceptions) been the subject of much analysis and discussion either by academics or by political and institutional actors. The first assumption builds on the idea that the scope of justice applicable to the EU should be considered broadly rather than narrowly: justice should not be associated only with the State. The standards to be applied to particular organizations or polities should reflect the nature of their goals and the extent of the impact their decisions have on the lives of their constituents or those outside their borders. The EU and its institutions have assumed considerable power and influence within and beyond its Member States. Its daily actions substantially affect the interests of individuals, corporations and states, and it possesses significant capacity to address injustice both within its boundaries as well as externally. The editors and contributors to this book suggest that it is time to think critically about the existence and nature of a perceived justice deficit in Europe, its possible implications for Europe’s future, and to open a discussion about the ways in which such a deficit might be addressed. The book is intended as a first step in this direction. EU Law and Integration is a collection of articles written by the author over the course of his eminent career as an academic, an Advocate General, the first President of the Court of First Instance (now the General Court), and now as a Judge at the Court of Justice of the European Union. Some of the contributed articles have been translated from their original language of publication, while others have been written with collaborators. 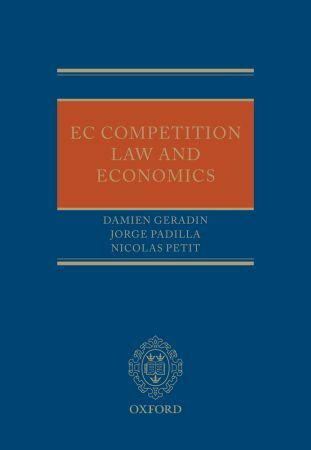 Divided into sections broadly concerning EU constitutional law; the judicial structure of the EU; judicial protection of individuals; competition and state aid; and more general studies in law and economic integration in the EU, this volume has a very broad scope. As a judge, and an academic, the author provides practical insight as well as keen analysis into the areas of the law upon which he focuses. Articles concerning the judicial architecture of the Union provide some of the most interesting reading in the volume. Writing the Foreword to the book, the Vice-President of the Court of Justice of the EU, Koen Lenaerts, aptly refers to this section as the ‘cornerstone’ of the volume. The author’s analysis of the problems facing the Court of First Instance in its first year has particular historical value and relevance, as he was the founding President of the Court. It is interesting to read – with hindsight – of the first struggles of the Court in terms of administration and the preparation of rules of procedure. The author’s rationalisation of the relatively long length of CFI judgments is illustrative of how the Court of First Instance viewed its duties with regard to the appellate jurisdiction of the Court of Justice. The concluding perspectives on the future of judicial architecture of the EU are also interesting as the author advocated incremental, rather than radical, changes in the judicial system, and the reader is sometimes left to wonder what conclusions he would make in light of the Lisbon Treaty reforms (and whether they were not reforms in name only), and the push towards judicial networking. Seminal cases concerning economic integration feature prominently in the work, and readers are well advised to read the author’s consideration of the impact of the Pfizer case on the Precautionary Principle in EU law. The author illustrates the early caution show by the Courts which clearly advocated a prudential approach as regards determining the risks for human and animal health, and the environment. While the author acknowledges that this judicial approach probably did not pave the way to the ultimate systemic application of the principle, it did clearly foreshadow it. Readers, however, might be curious as to how the author would consider the Precautionary Principle’s current status under Article 191 TFEU, which does not feature in the republished 2004 article. Constitutional discourse lies at the heart of every state’s legal system. In Europe, it is the subject of even more intense debate with the rapid process of integration in the European Union, and the apparent incursion of EU regulatory norms into sacred national constitutional space. What is always assumed, but not examined, is the fact that this is a shared experience across the EU. Each Member State grapples with the realisation of its own constitutional identity, in its domestic courts and in the EU. In her new book “Constitutional Review in Europe: a Comparative Analysis”, Maartje de Visser aims to address two questions: who (should) uphold(s) the constitution, and how is constitutional review organised. Drawing on sources from eleven representative Member States of the EU (Belgium, the Czech Republic, Finland, France, Germany, Italy, Hungary, the Netherlands, Spain, Poland and the United Kingdom), this book is a veritable tour de force as it is a tour d’Europe. There is an inherent hazard in comparative analysis, especially one which aims to describe the constitutional frameworks of such a diverse range of states, that the analysis will be piecemeal and the narrative of the book will simply be a list of states and their associated institutions. Evaluative considerations would either require lengthy argument beyond the scope of the book, or fall to the accusation that identified distinctions are superficial, or a whole host of justifying social, historic, and cultural norms were ignored. The author firmly acknowledges and responds to all of these concerns. Dividing the veritable behemoth of comparative constitutional review into manageable sections of the representative elements, she adroitly addresses the most important practical and theoretical aspects of constitutional review. Covering the role of non-adjudicatory actors, the rise and purposes of constitutional adjudication, sources of constitutional review, access to the courts, the composition of the constitutional bench, and the interplay between constitutional courts and other actors; this work gives excellent scope to discover the many aspects of constitutional review. In addition to the eleven representative states, the Court of Justice of the EU also features, as de Visser has explicitly adopted the convention of European scholars of labelling the Court as ‘constitutional’. Leaving aside the normative and political challenges of that assessment, it is a wise choice: the judgments and actions of the Court have a wide ranging impact on constitutional judgments of national courts. Judging Europe’s Judges is a fascinating volume that addresses the legitimacy of the case law of the Court of Justice of the European Union. 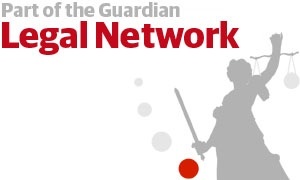 It would be of particular interest to those working on the ‘hard cases’ recently decided by the CJEU, but also more generally to anyone interested in European law.